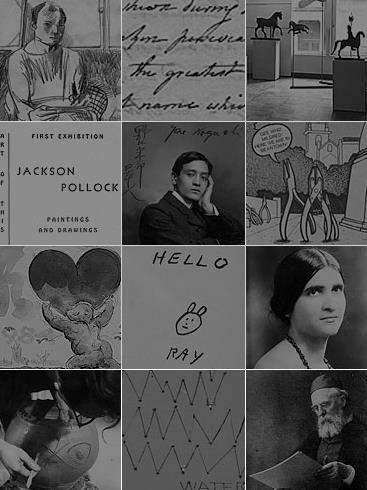 The Archives of American Art is the world’s pre-eminent archive for American art history. It was founded in Detroit in 1954 by Edgar P. Richardson, then director of the Detroit Institute of Arts, and Lawrence A. Fleischman, a Detroit businessman and young collector. The Archives’ initial goal was to serve as a microfilm repository, but it quickly expanded to collecting and preserving original material from across the country. Since then, the Archives’ mission has been to foster research by collecting, preserving and making available primary source material documenting the history of the visual arts in the United States. The Archives joined the Smithsonian Institution in 1970, sharing the Institution’s mandate—the increase and diffusion of knowledge. The Archives is staffed by 37 employees and 8 contractors, and has an advisory board of 22 trustees. Kate Haw is the director. The Archives’ holdings include 20 million items in nearly 6,000 collections and more than 2,300 oral history interviews spanning more than 200 years of American art history, from the 18th century to today. The collections consist of letters, diaries and scrapbooks of artists, dealers and collectors; manuscripts of critics and scholars; business and financial records of museums, galleries, schools, associations and clubs; photographs of art-world figures and events; sketches and sketchbooks; rare published journals and periodicals; exhibition catalogs; and film, audio and video recordings. The Archives adds thousands of documents to its holdings each year by collecting additional primary sources from artists, dealers, collectors, critics and museum professionals. Each new collection is accessioned, arranged, cataloged and preserved according to national best practices, and stored in a controlled and secure environment. Most of our materials are described in detailed finding aids available on the Archives’ website and many collections are also digitized, making them available to researchers online. The Archives serves as an indispensable art-historical resource for thousands of scholars, collectors, critics, dealers and artists who visit its centers or use its remote reference services every year and for millions more online. Researchers and the public may view original documents by appointment at the Archives’ headquarters in Washington, D.C., or access select holdings and microfilm through interlibrary loan or at its research center in New York City and affiliated centers nationwide. The Archives is a pioneer in digitization, and has steadily been making its collections available online so that they can be accessed anywhere, by anyone, at any time. More than 200 collections can be viewed on the Archives’ website in their entirety at http://www.aaa.si.edu/collections/online, and more are being added every day. Several exhibitions are presented each year at the Archives’ Lawrence A. Fleischman Gallery at the Donald W. Reynolds Center for American Art and Portraiture in Washington, D.C. In addition, it organizes traveling exhibitions and selected exhibitions are available online at http://www.aaa.si.edu/exhibitions. The Archives’ research centers are located in Washington, D.C. and New York City. It also has affiliated centers, including the Amon Carter Museum in Fort Worth, Texas; the Boston Public Library in Boston; the de Young Museum in San Francisco; and the Huntington Library in San Marino, Calif. Since 1960, the Archives has published the biannual Archives of American Art Journal, the longest-running scholarly journal in the field of American art history. It also publishes a regular email newsletter and one or more books each year.